We believe that preparing students for life requires us to change how we do school. Dalat International School will promote authentic community engagement and attract and develop exceptional Christ-centered educators. We will foster spiritual growth, create relevant and innovative learning experiences, and inspire students to have a Biblical and global perspective in order to impact their world. Create engaging opportunities for students to experience God’s love and deepen their understanding of Him. Develop events and programs that are relevant to Dalat students which will allow them to encounter and experience God’s love, inspiring them to love others. Create and enhance experiential learning events such as Impact trips, SEW, and retreats to help students encounter God’s love. Ensure adequate support for transformative programs through providing dedicated divisional personnel and modifying academic calendars to allow for sustainability. Emphasize real-life application of Biblical principles such as practicing spiritual disciplines and belonging to a community that promotes spiritual growth. Strengthen opportunities for students to understand, reflect on, and express spiritual truth in a community that supports holistic growth. Surround spiritual life events with planning and reflection time to promote continued growth and a deeper understanding of God. Create safe and accountable environments by enhancing mentorship and small group programs to allow students to express doubts, seek answers, and communicate biblical truth. Intentionally encourage and develop students to pursue Christian leadership on campus and in the community. Equip students through specific training sessions to develop their spiritual leadership capacity. Create opportunities such as student ministry teams for students to use spiritual leadership competencies across all facets of school life. Attract, equip and retain, mission-minded faculty to provide stability and inspire excellence. Attract staff through the use of innovative technologies to join and share in the mission of Dalat. Create and implement the use of new media products such as an interactive website, infographics, and videos to showcase the benefits of working at Dalat and living in Malaysia. Develop incentive programs that reward successful referrals to attract new staff through word of mouth and personal networks. Expand resources such as budget and personnel to improve the recruitment and hiring of exceptional staff. Develop faculty through a holistic approach to enhance individual professional growth. Improve and enhance the mentorship program for new faculty and staff including consistent meetings to ensure a smooth transition to Dalat. Establish training and incentives for mentoring faculty to encourage and develop a team building culture among staff. Provide and increase designated time including professional development meetings to foster cross divisional collaboration. Evaluate and enhance the current professional growth practices such as funding and documentation to support and encourage faculty and staff development. Affirm and spiritually nurture staff to empower them to radiate a passion for Christ. Develop member care opportunities such as small groups or prayer partners to nourish and promote spiritual wellness and growth in our staff. Allocate resources such as funding and release time to affirm and promote spiritual growth. Establish and maintain practices and programs to promote staff retention. 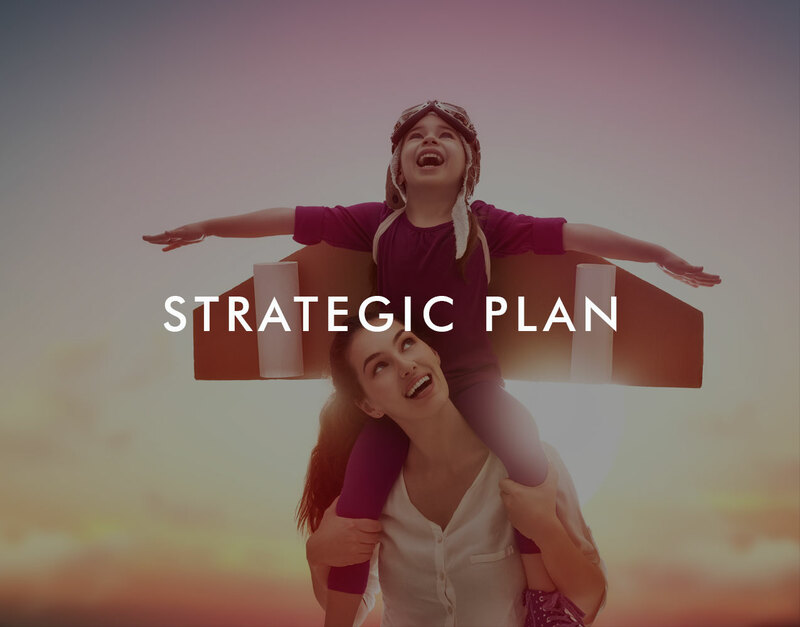 Develop and facilitate financial planning opportunities such as 401K retirement plans and increased child allowances for children in college, to promote adequate long term financial stability for staff. Include wellness measures for staff such as preventative health examinations to improve physical and mental wellbeing. Provide and encourage regular, voluntary community building opportunities to further inspire camaraderie and have more fun. Seek consistent feedback avenues from current staff such as conducting “staying” interviews to help administration better meet the needs of Dalat personnel. Develop intrinsically motivated, inquisitive, global citizens who thrive in a changing world. Encourage institutional flexibility to facilitate innovative and dynamic learning experiences. Reimagine and revise institutional mechanisms by examining our schedules, grading practices, facilities, staffing and graduation requirements to strengthen and sustain a robust culture of innovation. Create collaborative time within and across divisions for students and faculty such as Professional Learning Communities (PLCs), mentoring relationships, Impact Trips and interdisciplinary learning opportunities to engage in nontraditional, bold learning. Review and improve our curricula and assessments by identifying core competencies that students need to be innovative learners. Develop the appropriate resources to realize our strategic vision for innovative learning. Equip teachers through specialized training such as vision trips and Innovative Teaching Academy to model and implement innovation in the classroom. Secure and invest in the necessary resources by hiring an Innovation Specialist and budgeting for necessary equipment to enhance the school’s culture and operations. Create innovative spaces such as MakerSpaces or Tinker Labs to promote and facilitate design thinking. Pursue additional funding avenues such as corporate sponsorships and/or grants to support innovation initiatives. Strengthen and create internal and external partnerships such as guru networks, internships, and exchange programs to connect staff and students to innovative opportunities. Foster the intellectual and cultural elasticity students need to adapt and thrive as global learners. Provide opportunities such as passion projects and genius hour for students to explore areas of personal interest and become intrinsically motivated learners. Engage students in solving real-world problems such as human-trafficking, pollution, and poverty to provide purpose for innovation. Increase inter-disciplinary initiatives in the middle and high school such as STEAM so that students are better equipped for the real world. Expand the way in which students showcase innovation such as portfolios, presentations, and media productions for students to demonstrate their learning and provide more accountability. Develop a growth mindset by revising practices such as grading and award programs to encourage grit, risk-taking and learning through failure. Engage our culturally diverse community to nurture caring relationships, promote mutual respect, and encourage meaningful involvement. Leverage existing school events to optimize community engagement and involvement. Prioritize and enhance impactful events such as open house and divisional parties to build strong community. Consolidate activities like concerts, informational meetings, and community dinners to help manage time constraints and promote maximum involvement. Create unstructured social times within school events by providing refreshments and activities to encourage personal connections. Empower parents to work with the school as integral partners to strengthen the bonds within the school community. Encourage the PTO by providing tools and support to ensure the continued impact of the organization. Spearhead various efforts like host families and follow-up meetings to nurture and care for new Dalat families. Encourage parent involvement such as liaisons and volunteers to assist in the organization of events and to bridge cultural gaps. Focus on nuclear groups and activities such as “classroom parents” and divisional barbeques to better develop grade-level relationships. Create a campus-wide environment that is welcoming to families to allow meaningful networks of relationships to develop. Intentionally preserve and create flexible community spaces on campus such as the “white tables” and open playgrounds to maintain the positive social atmosphere of the campus. Value parent accessibility within campus security measures, such as providing easy parent identification, to allow families to enjoy campus life together. Include adequate parking on the master plan to allow convenient campus access for parents. Develop solid communication measures to increase active participation and strengthen unity. Manage a regular and consistent flow of information through Dalat News and utilize parent-preferred platforms to promote community engagement opportunities. Ensure that Dalat families have an avenue to share their concerns and needs through coffee chats, accurate surveys, parent-teacher communication, and translator provision to strengthen the school-parent partnership. Classroom Parents: Parents of Dalat students in the elementary that volunteer to help the teacher with special events or small group work. Dalat News: A weekly newsletter that is sent to the Dalat community every Friday. Growth Mindset: A mindset by people that believes that they can grow, learn, and develop and are not limited or fixed by their circumstances or surroundings. Guru Networks: A term used for finding specialists in your area who can be a resource for students and their school work. Impact Trips: The name that will be used for Dalat’s service learning trips in the high school. The trips will integrate community service with instruction and reflection. Infographics: Visual representations of information, data or knowledge, intended to present information quickly and clearly. Used often in social media. Intrinsically Motivated: The motivation to engage in a behavior that arises from within the individual and not because of external rewards or punishment. Maker Space / Tinker Labs: A place where students can gather to create, invent, tinker, explore and discover using a variety of tools and materials. Passion Projects / Genius Hour: A program within schools and corporations that reserves time for students/employees to pursue their passions and interests. PLC’s: Stands for Professional Learning Communities and is an effective tool used for teacher professional development and improvements in curriculum. SEW: This stands for Spiritual Emphasis Week, which is a time each year where the school focuses on the spiritual development of students. STEAM: An educational term that stands for Science, Technology, Engineering, Arts, and Mathematics and the integration of these topics together. White Tables: Area on the Dalat campus near the ocean where parents, students, or staff can meet to talk and relax. 401k Retirement: is a retirement savings plan sponsored by an employer. It lets workers save and invest a piece of their paycheck before taxes are taken out.